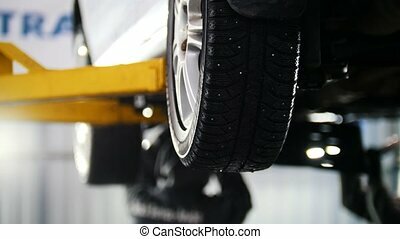 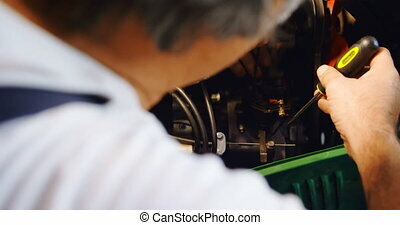 Car service. 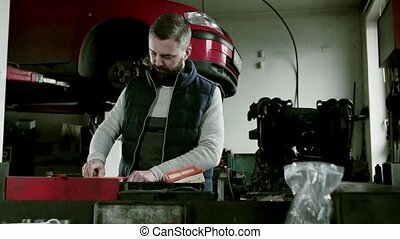 thick mechanic man opening a garage. 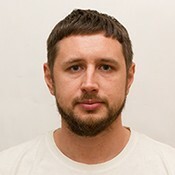 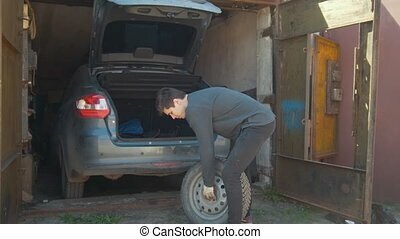 the car drives in. 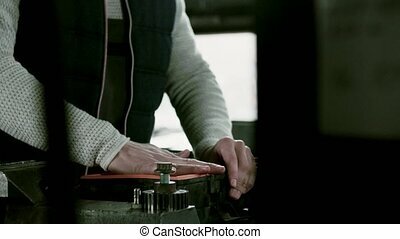 mid shot. 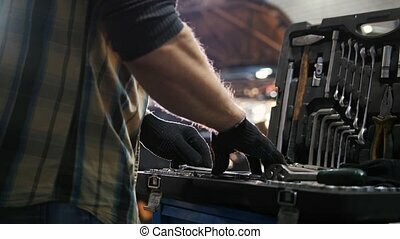 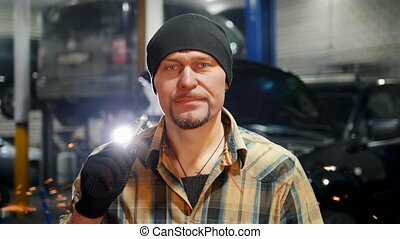 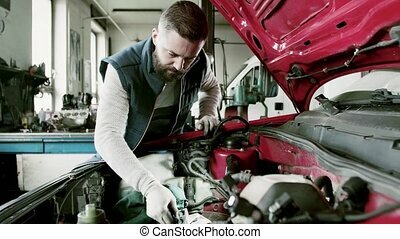 Unrecognizable man mechanic repairing a car in a garage. 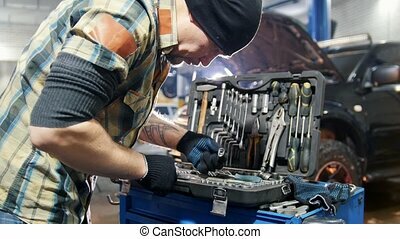 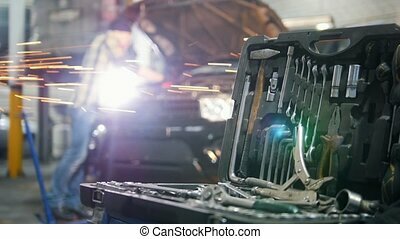 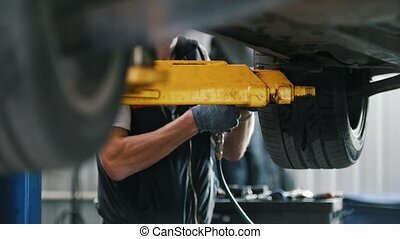 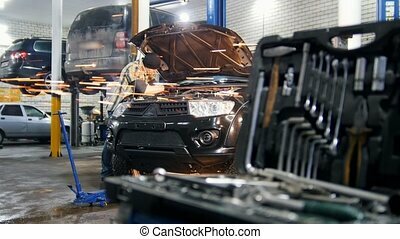 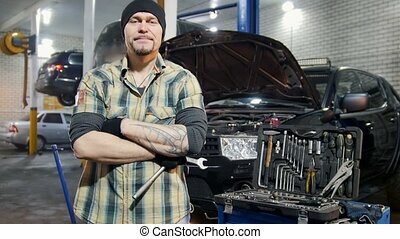 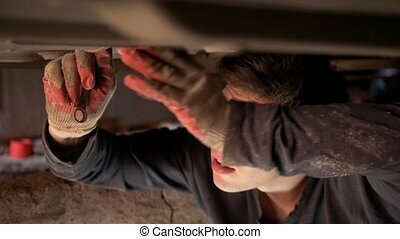 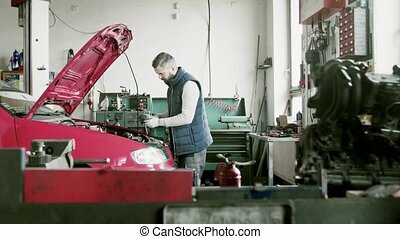 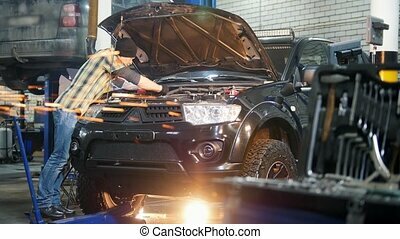 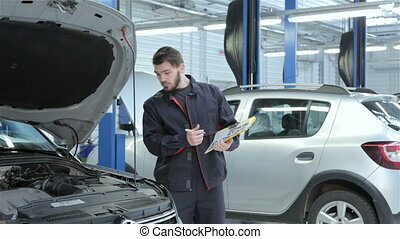 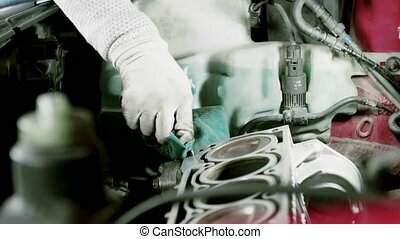 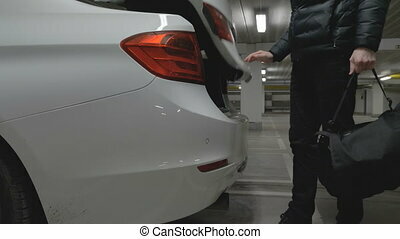 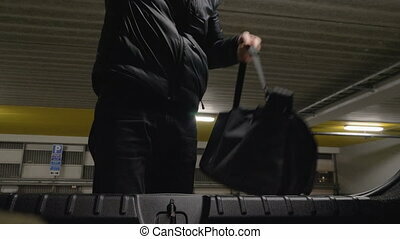 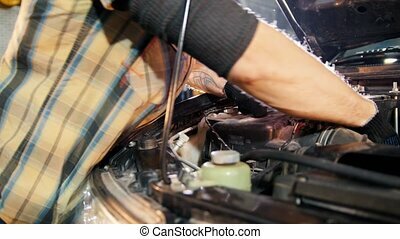 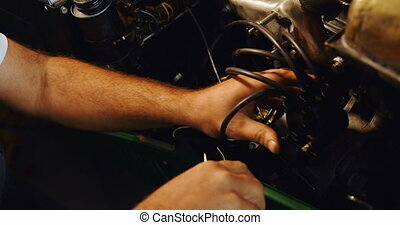 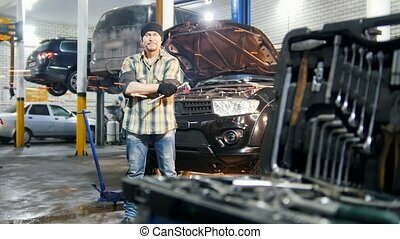 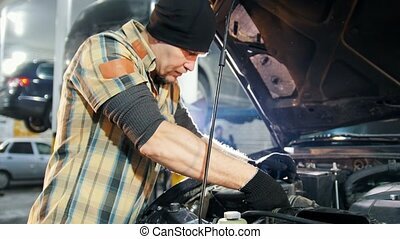 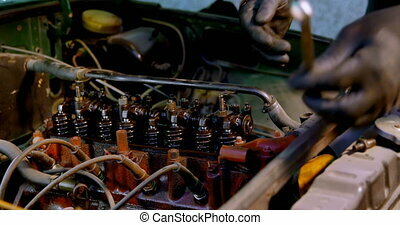 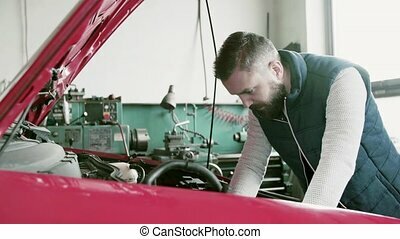 Mature man mechanic repairing a car in a garage.